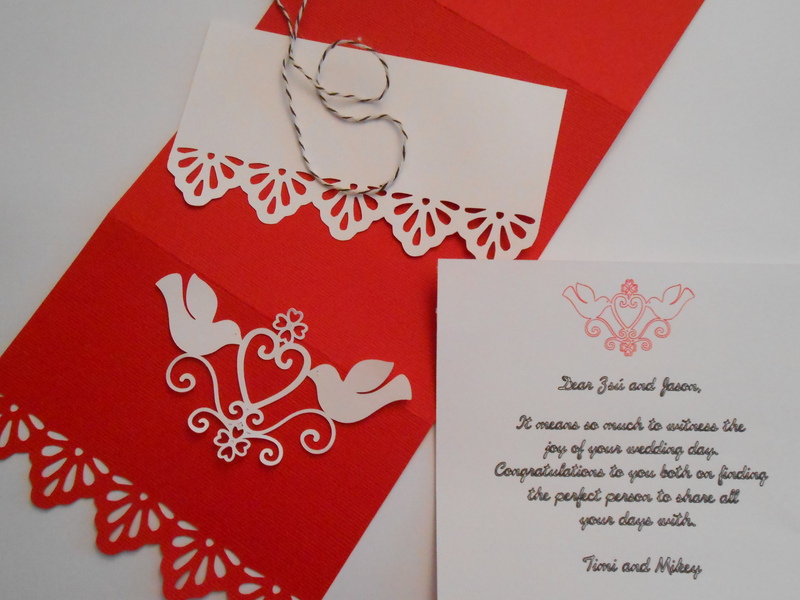 It is Timi here today to share how I created a card for a friend who just got married. She is Hungarian like myself and got married to and English guy in Hungary. 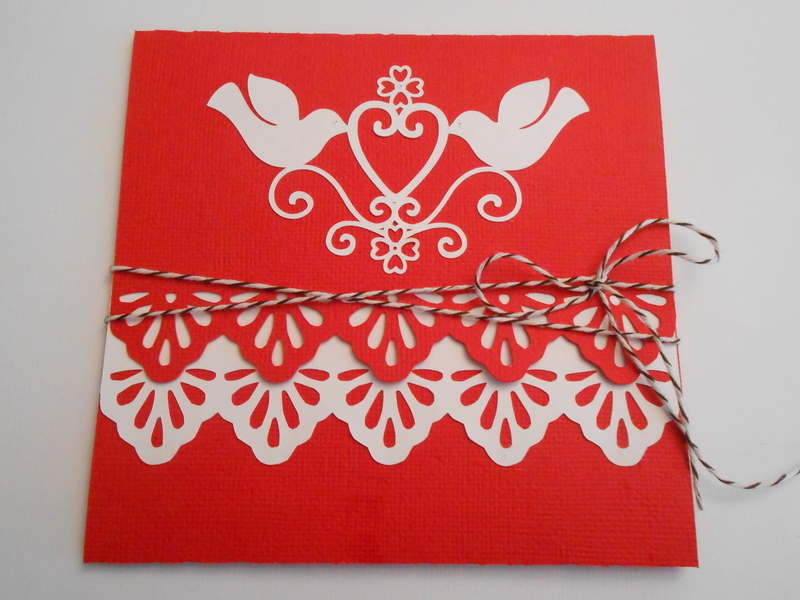 I thought it would be nice to bring something Hungarian into to the card I was going to make for them. So this picture was my inspiration. This is from a Hungarian folk tale program on TV from my childhood. They told all kinds of folk tales to children and they used patterns from folk art. 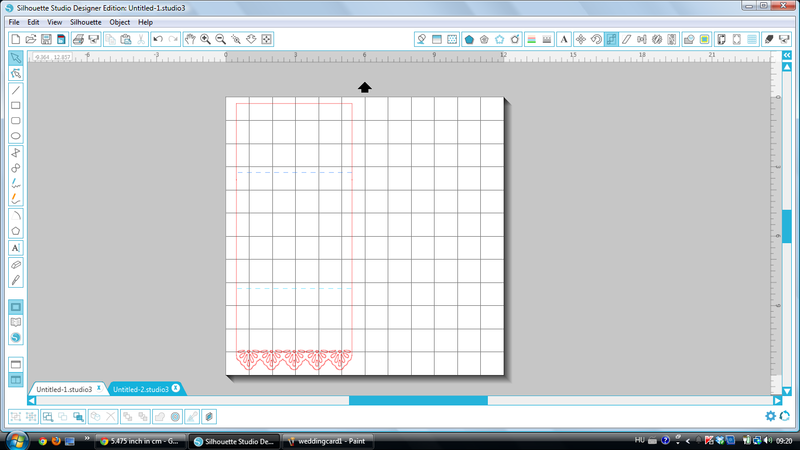 I used two cutfiles that I found in the Silhouette store. They were very similar in style and I only needed a little bit of adjustment to create my project. 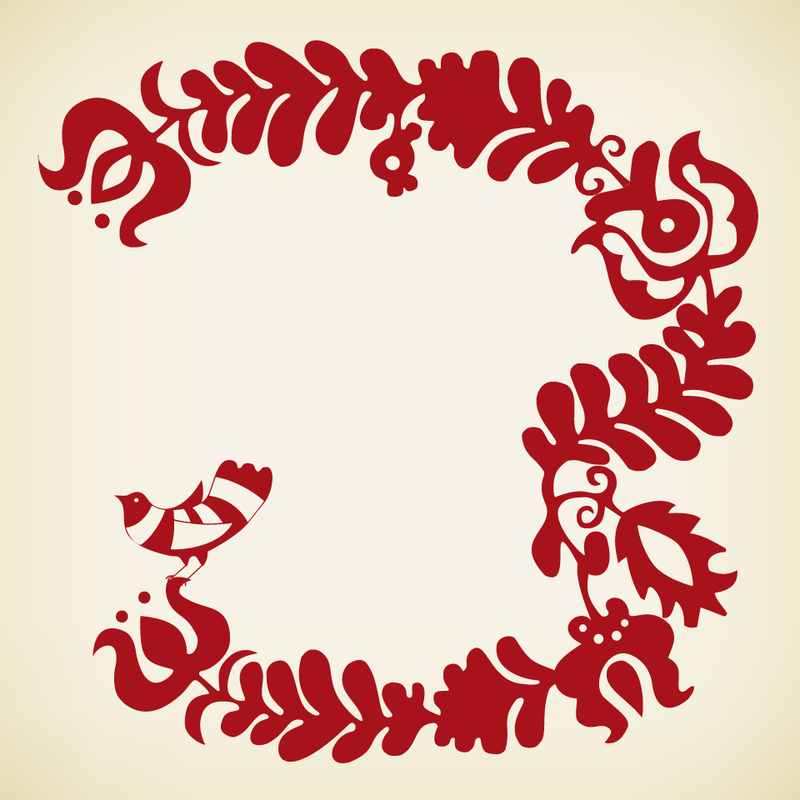 I used the Eraser function in Silhouette Studio to erase the dashed lines and the semi-circle. I wanted to lengthen my card base so I can fold it into three. 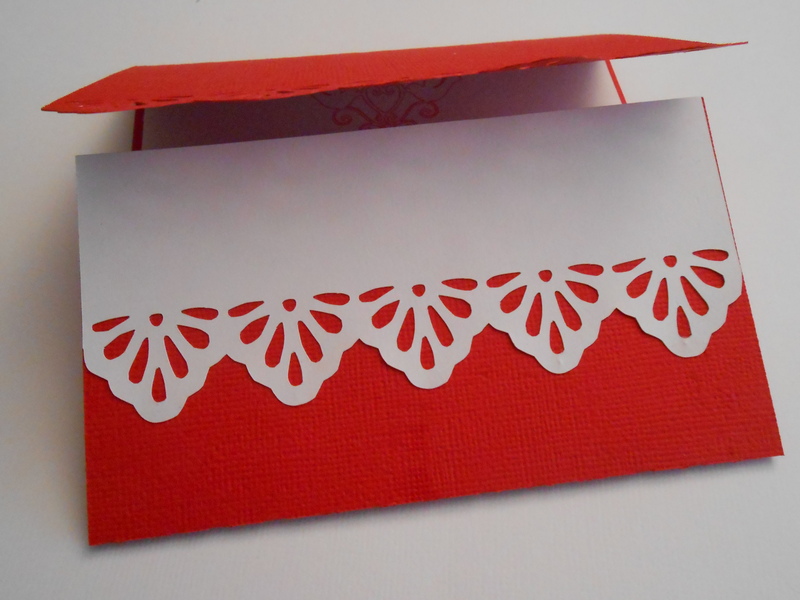 I also added two dashed lines where I wanted my card to be folded. It was now approximately 5″ x11 “. I sent this to the Silhouette to cut it out from red card stock. 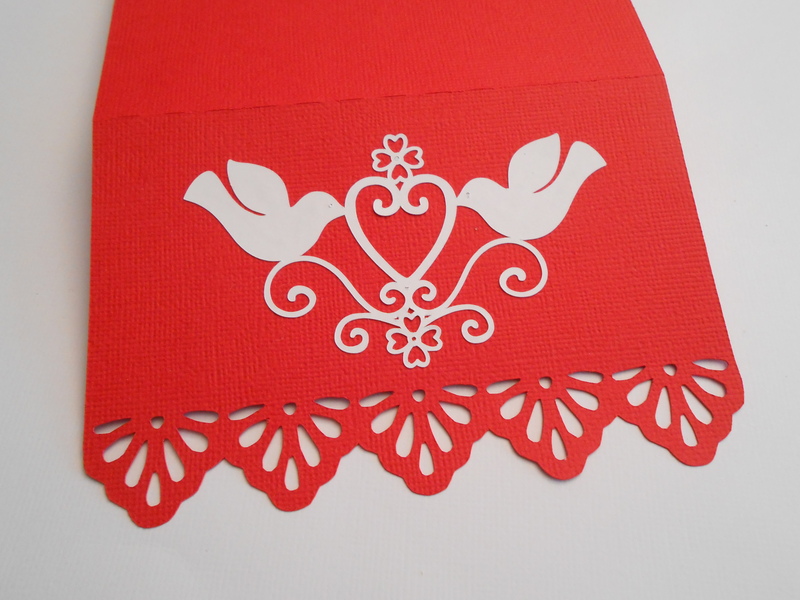 I also cut out the ‘bird and heart’ motif and the lace design from white card stock. Then I used the sketch pen in my Cameo to create the inside of the card. I used red to draw the ‘bird and heart’ motif again and black for the text. When it was ready I cut it out in a square shape to fit the card base. At this stage I was ready to assemble the card. I adhered the square with text to the inside of the card. 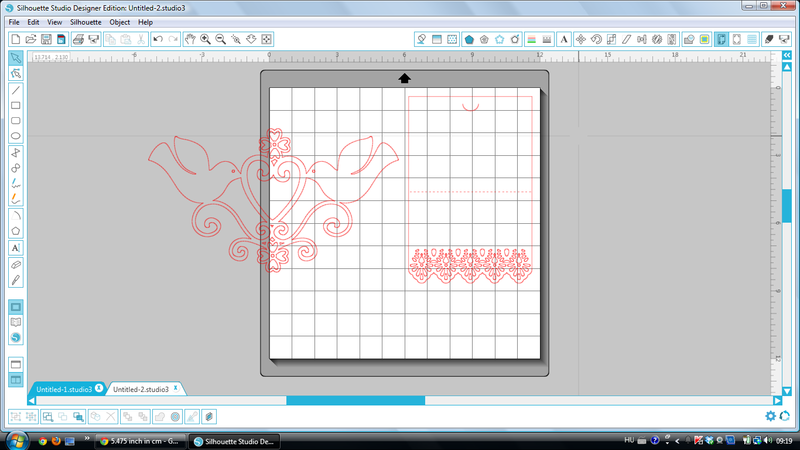 Then I added the white lace die cut to the front bottom panel and the bird die cut to the front top panel. Finally I added some bakers twine to keep the card together. This was a really fun project to create and I was so very pleased that I could personalize and modify a cutfile to achieve a card that I imagined. 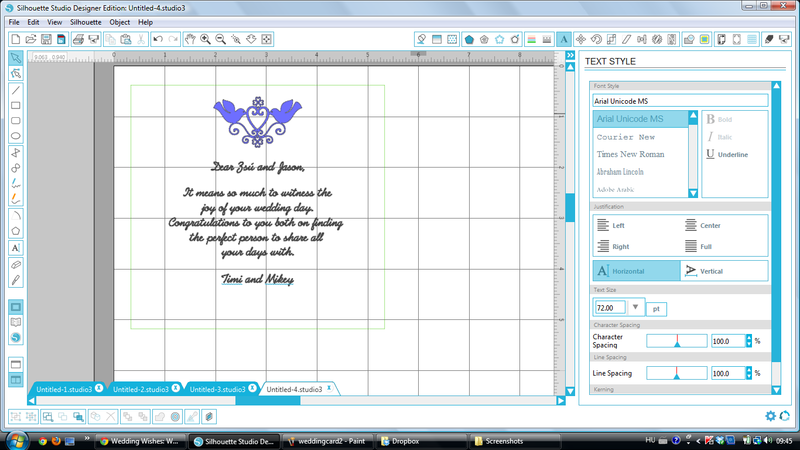 If you don’t have a Silhouette Cameo, you can still create a similar project with border punches and stamps. 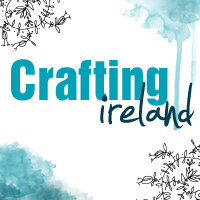 I hope you like this tutorial and we hope you share some of your wedding projects with us on our Facebook page.